10) Hall of Presidents – The Magic Kingdom is also home to a third attraction that is best skipped while enjoying a short trip to Walt Disney World. 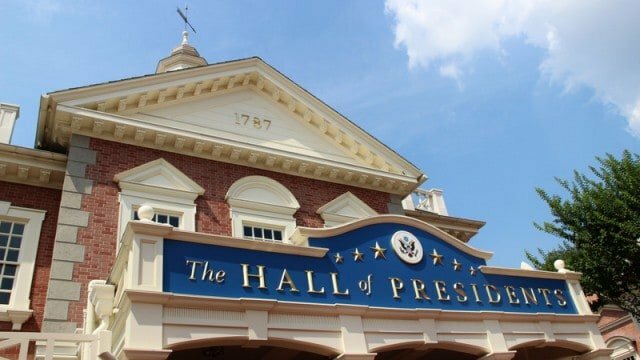 The Hall of Presidents is located in Liberty Square around the corner from Sleepy Hollow and the Haunted Mansion. This patriotic attraction begins with guests gathering in a lobby filled with many artifacts and items that belonged to the presidents. Once seated inside the large theater, guests can enjoy a show that tells the story of the history of the Oval Office through narration, artwork, photos, and more. The highlight of the Hall of Presidents comes at the end of the experience when every President of the United States is seen standing together on stage as a unified group. Each audio-animatronic was made with incredible attention to detail, and it is amazing to see the lifelike figures standing together in one location.